Don't just store your leaves - display them! This Table Leaf Storage Rack keeps your leafs exposed to the same changes in humidity and light as your table - ensuring the two will mature and patina together in perfect unison! This is especially important with Cherry wood. 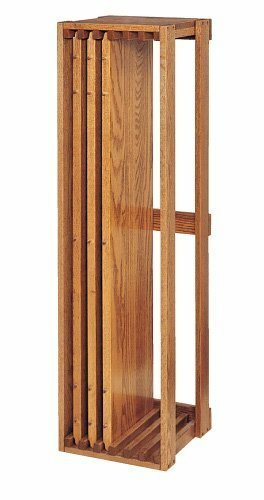 For more questions on this Amish Table Leaf Storage Rack, please call one of our Amish Furniture Specialist.